If your choice of colour is not availabe another colour will be sent instead. 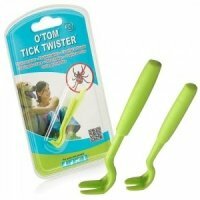 O'Tom Tick Twister chemical free dog tick removal tool with silicon-grip handle. Simply the best way of removing ticks from dogs (and other animals and humans too) completely and safely. Due to the popularity of the standard Tick Twister the range has been expanded to include a new O'Tom Tick Twister with silicon-grip handle that enables you to be even more precise and safe; the grip that can not slip, and you are sure to get the tick out easily. Tick twister is the best and safest way to remove ticks without leaving the mouthparts of the tick planted in the skin. No use of chemicals. Quick and painless tick removal without squeezing the tick, thus reducing the risk of infection and spread of diseases. This unique and ingenious tick removal tool prevents the increased risk of infection. Uses a 'slit and rotation' technique to extract the tick in less than five seconds with no compression of the tick's body or risk of leaving it's mouthparts still attached, both of which may lead to the transfer of disease such as Babesia and Lyme disease. Sold in packs of two, each a different size, capable of removing a tick as small as one tenth of a millimetre. This tick hook can be used in hard-to-get-at places and on sensitive areas. Takes the tick away quickly and painlessly. It does not squeeze the tick, thus reducing the risk of infection. Designed by a veterinarian. 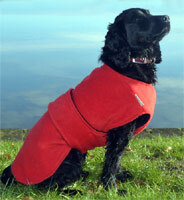 Two sizes are supplied in each pack - ultra thin for small ticks and a larger tool for large ticks. The hooks are made from recyclable injected plastic. 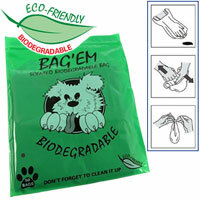 They are hardwearing, indefinitely reusable and virtually unbreakable. They can be disinfected with usual disinfectants, or even put in the dishwasher. 1) The tick is gripped without compressing the tick's body. 2) The tick is extracted by rotation and a slight upward motion, not by pulling. If the tick is grabbed with tweezers or similar unsuitable instruments, you may exert pressure on the tick's body. However, when the tick is grasped with the Tick Twister there is no pressure on the tick's body, thus, reducing the risk of the injection. 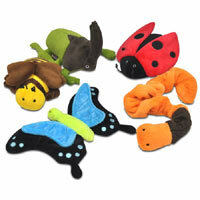 With Tick Twister you do not pull on the tick. Instead you rotate the tick and use a slight upward motion until the tick detaches after 2-3 rotations. Safe, chemical free way of removing ticks from dogs. More and more studies have proved that if you use chemical products to kill the tick, it is an attack for the tick and it reacts by a saliva back flow, which increases inflammatory phenomena. The tick must be removed correctly. Do not squeeze the tick, do not burn it, do not try to kill the tick or put it to sleep with chemical products before removing it. You should never pull the tick. Instead, remove it with a twisting motion, without compressing it. If you get bitten, it is essential to remove the tick properly and quickly. Ticks can carry very dangerous diseases and ticks only need a couple of hours to infect their host. - The mouth parts of the tick should be cleanly removed along with the rest of its body. - The body of the tick must not be compressed. - The tick should not be stressed or injured, because this can cause it to regurgitate its blood meal along with any infective organisms. - The tick should be removed without causing the host any discomfort. 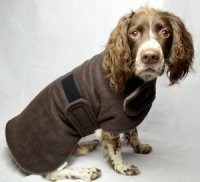 As an independent organisation, BADA-UK is not affiliated with the manufacturers of any tick-removal products. BADA-UK has reviewed a number of devices that are available in the UK and through studies, and our own experience, one product has proved its efficiency. The O'Tom Tick Twister is favoured by professionals (veterinary, medical, forestry and field workers etc), as well as by members of the general public. In a comparison study of four different tick-removal devices, published in the Veterinary Record (2006, 159, 526-529), the O'Tom Tick Twister was compared with surgical forceps, a pen-tweezer device, and a tempered steel tool (slit and traction action). The O'Tom Tick Twister proved to be significantly better than the other devices for the time required to remove the tick, the ease with which the tick was grabbed, the force needed to extract the tick, the reaction of the animal and the condition of the tick's mouth parts. This is the best ever tick removal tool I have used. So easy to use with no stress to my dogs. Also easy to clean and super value. Have recommended to my friends. 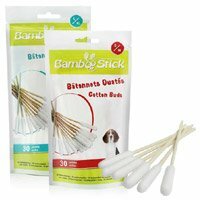 Just brilliant little tool to remove nasty ticks quickly and painlessly ....coming from someone who is so squeamish... This is the first time I have had to remove a tick from my dog, I put Vaseline on and around the tick (it helps make the area sloppy) then followed instructions which came with the tick remover and success in a couple of seconds the nasty creature was off my dog and securely in the tool.....no hesitation in recommending this to others, it's great. I am so pleased you found the tool easy to use but I just wanted to strongly advise against putting Vaseline or any substance on the tick. That can cause stress to the tick and cause it to regurgitate the contents of its stomach into your dog, which may contain infective organisms and pass tick borne diseases on to your dog. Don't apply anything to the tick at all. Simply use the Tick Twister as directed. Bought this after my dog needed to have a tick removed. I purchased one with a wire loop on the end from a well known pet store but found this tricky to use. After watching the video clip on this tick remover, and seeing how easy and effective it is, I purchased one just in case my dog is unlucky enough to need one removing again. It seems sturdy and should do the job. One of my dogs is a real tick magnet so we've tried all kinds of methods to remove the horrible little critters. None has worked as well as the Tick Twister. It's shape makes it so easy to use. Just push it around the puncture site, give a little twist and voila! one safely removed tick. Definitely the best method we've found so far. The silicon grip makes this twister easier to use others without. I used the Tick Twister on receipt and as my miniature Schnauzer had a tick and it removed it easily - my first attempt - far easier than the flat tweezers I had used before and less potentially harmful to our pet.